Paid advertising has become a popular phenomenon in today’s market. In fact it has become more popular than TV marketing. There are a number of reasons that have led to the growth and popularity of paid adverting in today’s economy. First it is the popularity of online platforms such as social media and search engines. They have led to the increase in the amount of paid online advertising. In turn online advertising prices have been on the steady increase for the past decade. This is due to the large number of businesses competing for a keyword. Paid advertising online has been catapulted even further by the amount of time that people spend on the internet. The internet in modern times has stopped being for the privileged alone. Everyone uses the internet these days to some extent. Some people basically use it for almost everything. Now there are smart homes which rely on internet connectivity for virtually everything. Paid advertising on google has created one of the best places for small and large companies to advertise their products and services. Google is the most visited website in the world. Billions of views are done on google every day by different people in different locations. Companies tend to love the fact that google has a location advertising method that helps customers to be specifically targeted by location and keyword. This is due to the large amount of keywords that are entered on the google search engine. Facebook ads are commonly used by small e-commerce businesses. 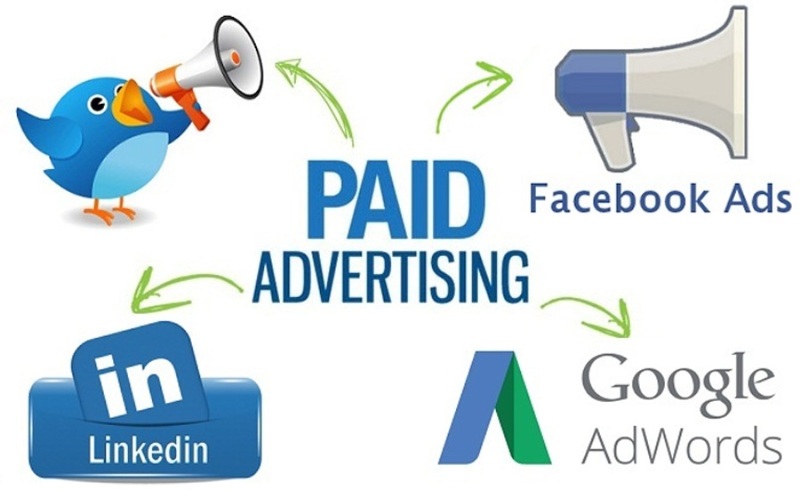 The reason why paid advertising has become so popular is due to the large number of people who regularly use Facebook. Facebook is used by more than 1,6 billion people as of 2018. This makes Facebook by far the most popular social media platform.